If you’ve ever wondered what is at the bottom of one of our metropolitan lakes this report will give you a glimpse of what’s down there. 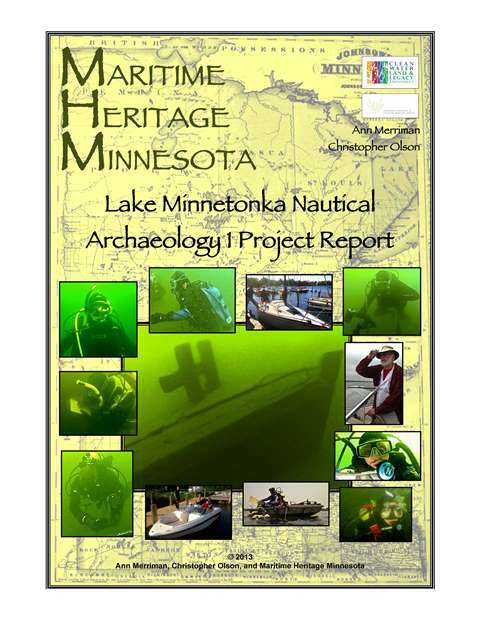 Maritime Heritage Minnesota staff and volunteers donned SCUBA gear to check out some of the anomalies they located during a 2011 – 2012 side and down-imaging sonar survey of Lake Minnetonka. Objects included a turn of the century barge, a stolen then scuttled aluminum fishing boat, a motorized ice boat and a 1955 Mercury Monterey four door sedan, among others. Some of the anomalies turned out to be natural features including a sunken section of once floating bog and rock piles. While most survey reports can be rather uninteresting to browse this one reads more like an issue of National Geographic with lots of pictures and interesting commentary. Check it out here.